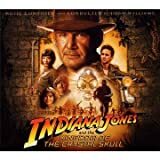 Percy Harrison Fawcett disappeared in 1925 into the dense, unforgiving jungles of the Amazon and never returned. At age 57, he had more experience exploring the then unmapped parts of the world than nearly anyone else alive. What was to stop David Grann, a writer for The New Yorker, from disappearing on the same quest a mere 81 years later? Grann’s seamless prose manages to weave past and present in a coherent tapestry, intertwining Fawcett’s story with his own as he develops his own fascination with the legendary City of Z Fawcett and so many others lost their lives pursuing. Would I want to accompany either of these men through the jungles of South America in search of rumors, hearsay, and legend? Probably not. They each risked their lives and the lives of others in a part of the world where the flora and fauna make the lasting works of society such as roads, buildings, and monuments disappear seemingly overnight. Thankfully, Grann is able to share his experiences and his research with his readers. On Fawcett’s last expedition, the fateful trip from which he never returned, he took his son Jack and his son’s best friend Raleigh along as young, strong, fearless adventurers dedicated to the quest. They sought traces of what may have been El Dorado, the City of Gold, when Europeans first entered the jungles. The stories of such riches and the knowledge that the Amazon hid such a wealth archaeological and anthropological knowledge from the world was enough to drive Fawcett to research all he could. After a long series of successful quests to map the jungles, his last expedition had been a failure and he’d been forced to retreat. But he vowed to go back and he did. Unfortunately he and his young companions were never seen again. For me, reading about these harrowing tales was enough to make me appreciate their heroism and steadfastness from afar. As a bestseller on the lists of the New York Times, USA Today, Wall Street Journal, Washington Post, Denver Post, and others, obviously I wasn’t the only one who found the story irresistable. This book is not for the squeamish in a few spots, where Grann goes into great detail about some of the diseases and critters who see see the human body as a host or a meal. However, I found it fascinating to learn about some of the more horrific things the Amazon has in store for visitors. If you have not yet been bitten by the bug, be sure to check out The Lost City of Z by David Grann, which is now out in paperback. 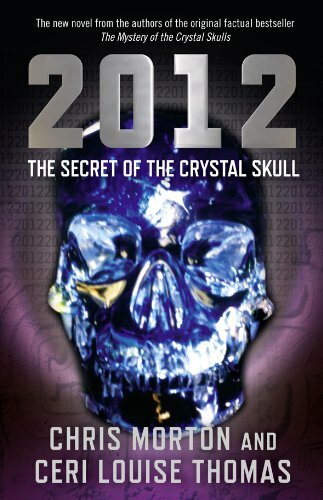 It’s part Indiana Jones, part Sherlock Holmes, and fascinating from cover to cover. p.s. Pick up this amazing book at Amazon below! When I heard about a bright 8-year old boy who had written and illustrated not one book, but three – I was intrigued. 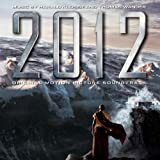 My own daughter has similar aspirations, so I decided to check out Dalton James’ imaginative fiction. And I have to say that I was impressed by what I read! 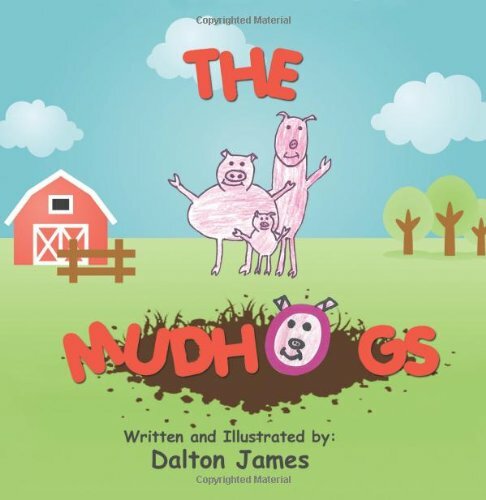 The Mudhogs tells the story about a clubhouse for a group of three little pigs. 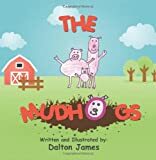 Told from the point of view of Fangs, a tick on Piggy’s leg, we hear the tale of how the three pigs deal with a mud shortage. Piggy, Piggles, and Piglet try everything they can think of to make it rain, so that they might make even a little mud. But no rain came. They tried a rain dance. That didn’t work. They tried to cast a spell. That didn’t work. They even tried putting on a play, complete with thunder and lightning, but that didn’t work either. Finally they decided they’d go on an adventure in search of mud. None of the towns had any mud. None of the states had any mud. Even the countries they visited were without any mud. But when they got home… they discovered it had been raining while they’d been away and there was plenty of mud for everybody! Though the artwork was childlike, I was fascinated by the story and the imagination used to create it. My favorite part of the book is when the pigs are traveling and go to the towns of Piggsburg, Hogsbreath, Swineville, and Slopton. As if those weren’t good enough, they then visit the states of Pighoma, Snortesee, New Hog, and Piggselvania. And while you’re still giggling at the first two waves of names, they then go to the countries of Pig of Mud States, Pigsia, Hogico, and Barnia. 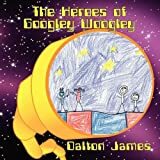 It’s obvious that 8-year-old Dalton James has quite a career ahead of him in publishing if he keeps up the great work. He should be an inspiration to kids and parents everywhere to go out on a limb and be creative. You never know who you’ll meet or where you’ll end up. Personally, I’d like to travel to Slopton, Piggselvania, and Barnia. They sound like fun places to visit! p.s. 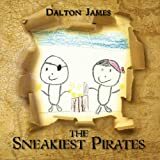 Check out these other books by Dalton James at Amazon!